In a competitive city, resonating with the expectations of world-class treatment and quality of service, Toronto Airport Limousine strives to be the best of the best, as we continually upgrade our fleet, improve our services, and increase our line of service with the same quality and integrity our clients have come to depend on. In finding the cutting edge of business, we have learnt that it is not always about the price, but the quality of service or product someone receives for that price. In that token, our limousine rental services are dedicated towards the corporate world, special events, and private functions. The integrity of our services is what drives us to continuously improve, with special consideration that customizing limo rental services for each and every client is important in understanding the diversity of expectations and requirements. In a pool of many that offer the same type of services, we stand out with our cutting edge mission to become the best and remain at the top of the list, regardless of what needs to be done. Our services are built to please, and we can accommodate almost any request, even if it means some compromise with the price. However, we will never compromise on the quality of our services and product commitment. Over the years, our company has grown in size including drivers and vehicles, to expand above and beyond the Toronto area, and extend to the reaches of Oshawa, Pickering, Scarborough, Barrie, Vaughn, Maple, Milton, Mississauga, Oakville, Burlington, Hamilton, and as far as Niagara Falls. 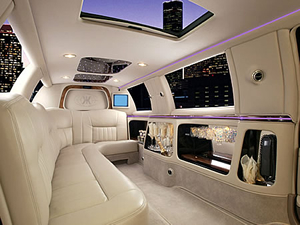 From simple trips to the airport to an all day trip to Niagara Falls to celebrate an anniversary, our limousine rental services have customized to suit the needs of each individual, to the complete satisfaction of all those who ride on board. Even with larger events, we aim to please and entertain as you indulge yourself in our services.